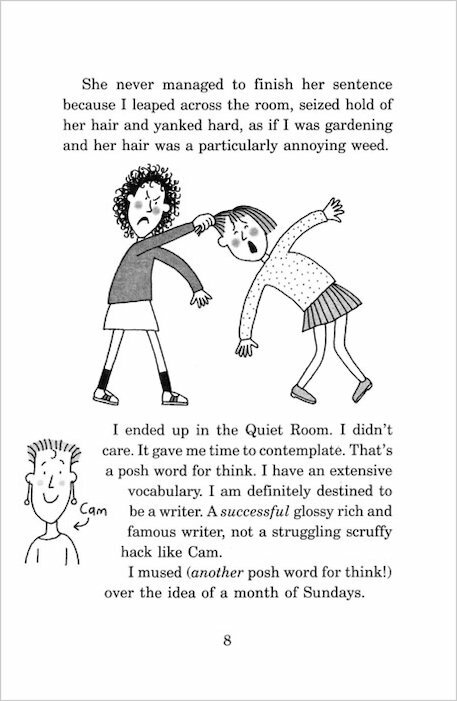 Have you read the very first Tracy Beaker story that inspired the TV show and books? You’ll laugh, you’ll cry and you’ll be dying to know if Tracy’s story ends happily ever after! 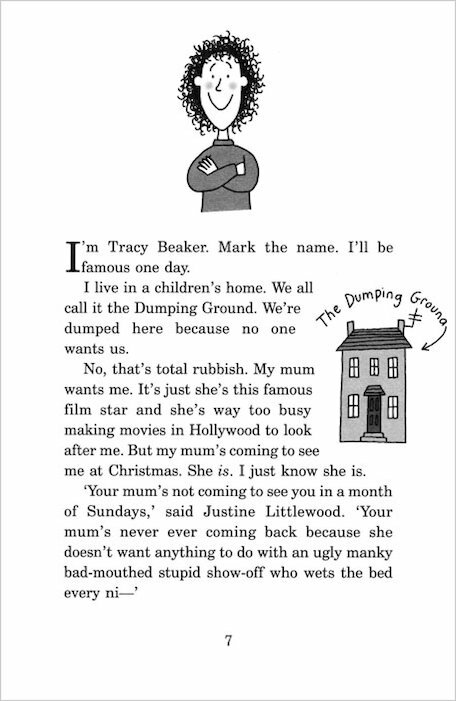 Tracy is a feisty ten-year-old dreamer who lives in a children’s home they call the Dumping Ground. She’s never seen her mum or dad, but she secretly longs for a real home and family. Then one day, Cam – a writer – visits the Home and takes a shine to Tracy. Could Tracy’s dream of a proper place to live finally be coming true? I sort of liked this book,I found it a bit to sad at some points but apart from that i loved it! Loved this book, it had me laughing at one point and then I was crying! This book is wonderful. 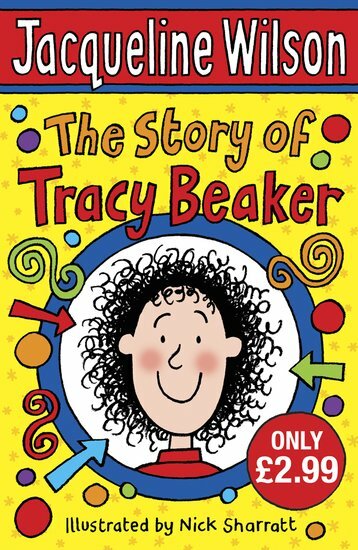 It shows the not so perfect life of tracy beaker. The ups and downs she has to face, but in the end everything turns out fine. I love this book. 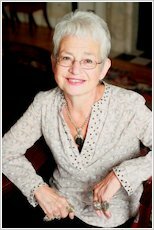 Tracy Beaker is very rebellious and her behind story is very interesting. Although she seems tough on the outside, inside she wants to curl up into a little ball and cry (or have hay fever in her words!) I would recommend this to all ages. I love tracy! 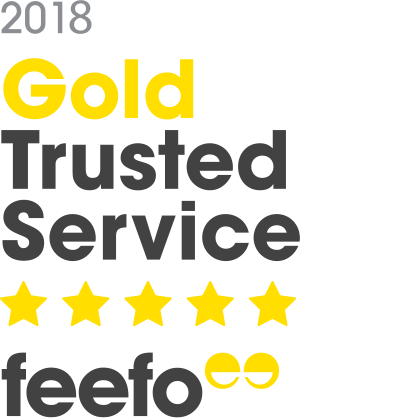 Would definitely recomemd! i absoloutley love this book, especially the character whish is very rebellious and really violent but funny and clever too. i love also watching the episodes because it makes the story more interesting if there is more. Although this is Wilson’s most famous work, I honestly didn’t enjoy it. The characters were average, the plot lines were below average, all in all, a not great book. I suppose very small children might enjoy it, aged about 3 – 5, but I don’t otherwise understand the hype. Do you like watching The Story of Tracy Beaker? Well,why not try the book which is really detailed and has great pictures inside the book. Are you desperate to know what is going to be Tracy’s next chapter in her life? It is about a young girl who is 10 years old and lives in a care home and has never seen her family before.Is Tracy actually going to find a place to live comfortably well…... I think you should read the book if you want to know more. This book is amazing I loved it so much, I even recommended this book to my family, friends and class to read and they enjoyed the book.